Excel is the graveyard of charts, no! This figure comes from Edward Wolff's 2012 paper, "The Asset Price Meltdown and the Wealth of the Middle Class." It's got all the hallmarks of Excel defaults. It's not a pleasing object to look at. This chart is made almost entirely in Excel - the only edit I made outside Excel is to decompose the legend box. 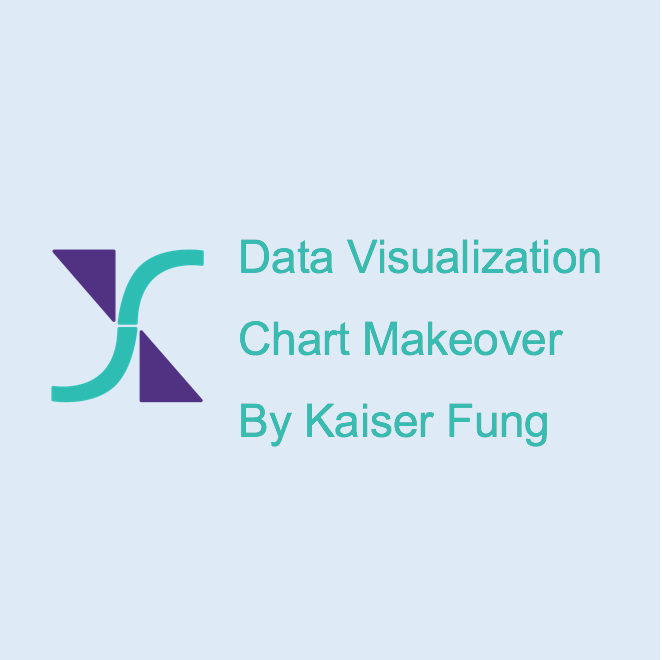 It takes five minutes to make the first chart; it takes probably 30 minutes to make the second chart. That is the difference between good and bad graphics. Excel users: let that be your inspiration! You can't say the Columbia Heartbeat site doesn't deserve a beating over this graph. I don't recognize the software but my guess is one of these business intelligence (BI) tools that produce canned reports with a button click. Until I read the article, I kept thinking that there are several overlapping lines being plotted. But it's really a 3D plus color effect! Wait there's more. This software treats years as categories rather than a continuous number. So it made equal-sized intervals of 2 years, 1 year, 2 years, and 8 years. I am still not sure how this happened because the data set given at the bottom of the article contains annual data. The y-axis labels, the gridlines, the acronym in the chart title, the unnecessary invocation of start-at-zero, etc. almost make this feel like a parody. Aside from visual design issues, I am not liking the analysis either. The claim is that taxes have been increasing every year in Columbia, Missouri, and that the additional revenue ended up sitting in banks as cash. We need to see a number of other data series in order to accept this conclusion. What was the growth in tax revenues relative to the increase in cash? What was the growth in population in Columbia during this period? Did the cash holding per capita increase or decrease? What were the changes in expenditure on schools, public works, etc.? This is a Type DV chart. There is an interesting question being asked but the analysis must be sharpened and the graphing software must be upgraded asap. PS. On second thought, I think the time axis might be deliberately distorted. Judging from the slope of the line, the cumulative increase in the last 8 years equals the increase in past two-year increments so if the proper scale is used, the line would flatten out significantly, demolishing the thesis of the article. Thus, it is a case of printing cash, graphically. I have been a fan of Alberto Cairo for a while, and am slowly working my way through his great book, The Functional Art, which I will review soon. Thanks to the folks at JMP, the two of us will be appearing together in the Analytically Speaking webcast, on Friday, 1-2 pm EST. Sign up here. We are both opinionated people, so the discussion will be lively. Come and ask us questions. The class practised doing critiques on the famous Wind Map by Fernanda Viegas and Martin Wattenberg. Click here for a real-time version of the map. I selected this particular project because it is a heartless person indeed who does not see the "beauty" in this thing. Beauty is a word that is thrown around a lot in data visualization circles. What do we mean by beauty? Something that is beautiful should take us to some truth. If we take this same map but corrupt all the data (e.g. reverse all wind directions), is the map still beautiful? What is the "truth" in this map? What is its utility? The emotional side of beauty is separate from the information side. "Truth" comes before the emotional side of beauty. Readers: would love to hear what you think. PS. Click here for class syllabus. Click here for first update.